Jordan Duminy successfully defended his Pinnacle Point Open title on 14 April 2019. Jordan carded scores of 64 and 74 for yet another title. Well done Jordan! 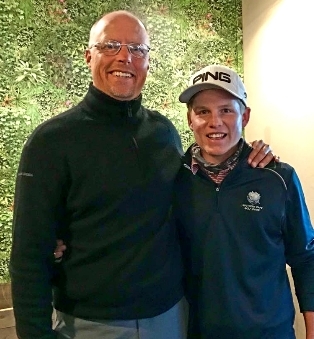 Congratulations to Martin Vorster on winning the Simola Junior Open on 7 April 2019 with a score of 68. Ian Pautz, also an Academy 57 member, was tied second on 71. Well done! 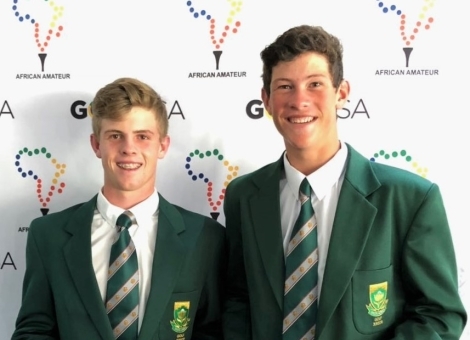 Congratulations to Academy 57 members, Martin Vorster and Jordan Duminy on being selected as part of the GolfRSA National Squad to their upcoming tour to the UK and Ireland. Your selection is well deserved. 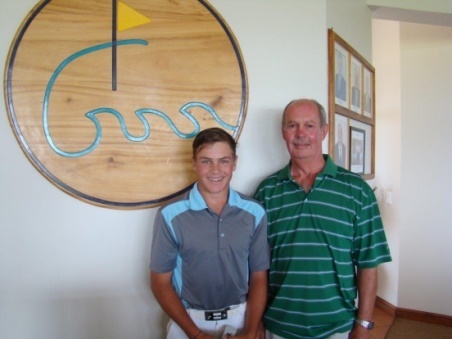 Martin Vorster won both the Mossel Bay Golf Club Senior and Junior Club Championships on brilliant scores of 70 and 65. Jordan Duminy and Ian Pautz, also Academy 57 members, were tied 3rd. 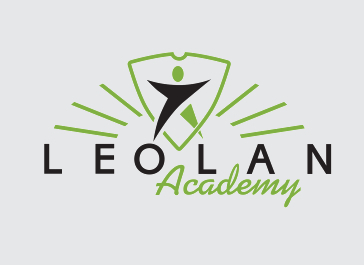 Well done, you are all great ambassadors of Louis’ Academy! 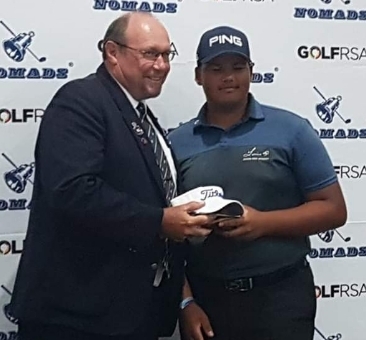 Well done to Jordan Duminy on finishing 5th on a score of -7 at the Nomads SA Boys u/19 played at Humewood Golf Club. We wish you well for the Stroke play. 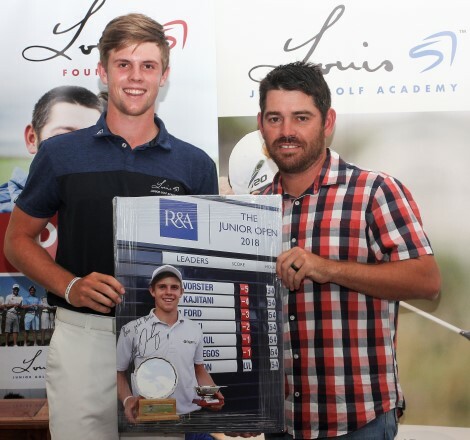 Many congratulations to Jordan Duminy on winning the 36 hole Riversdale Open on Saturday 16 March, on a score of -6. Jordan was also the 2018 defending champion. Ian Pautz finished as the runner-up on -3 and JP vd Watt finished tied 3rd. Thanks to coach Val Holland, PING, TEITLIST/FOOTJOY and SwitchGrips for your sponsorship of Academy 57. 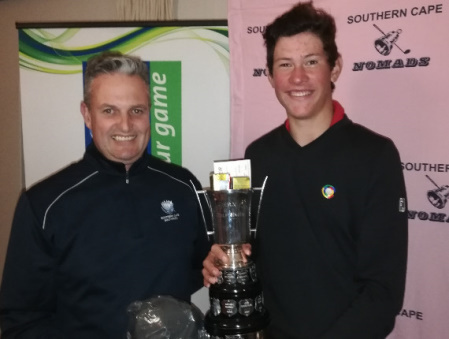 Congratulations to Martin Vorster for finishing as runner-up on a score of –16, in the Sanlam Cape Province Open, played over 4 rounds at George and Kingswood Golf Clubs. Jordan Duminy and Christo Lamprecht finished in the tied 8th position. We are proud of your continuous great performances. 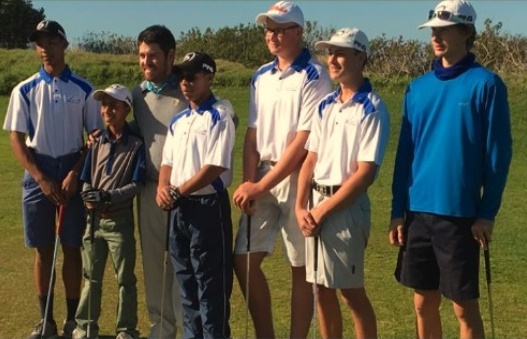 The Stilbaai Junior Open was another fantastic event for the Academy 57 Juniors. 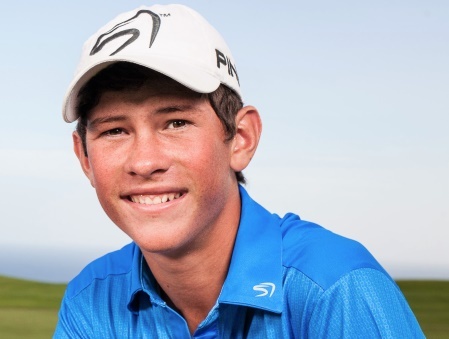 Well done to JP vd Watt on winning the Stilbaai Junior Open on 24 February. Ivan Verster was runner-up and Franco Gericke was tied third. Kass Muller from Academy 57’s Development Tier won the B Division. We are proud of your performances ! 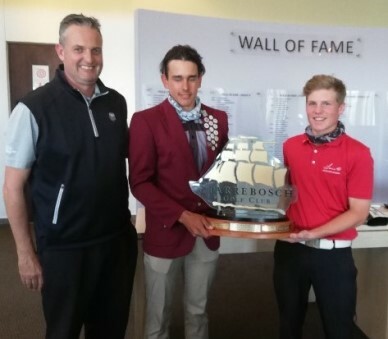 Jordan, well done with your fantastic performance in the Final of the SA Amateur. You have put up a great fight till the end. We are all very proud of your Runner-Up achievement. Congratulations to Wilco Nienaber. 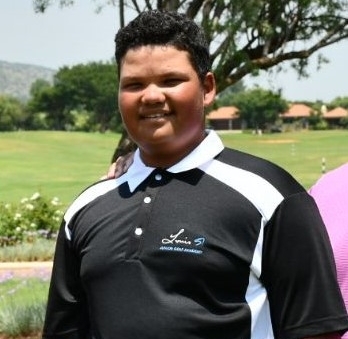 SA are proud to have such great junior golfers ! 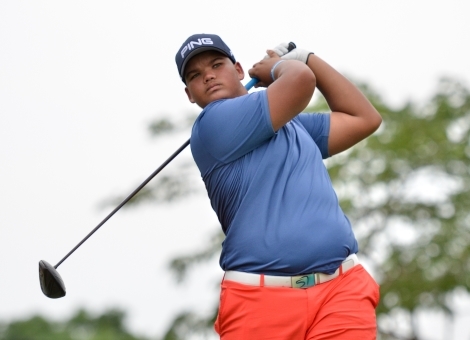 Southern Cape teenager Jordan Duminy showed maturity well beyond his 16 years to ensure three South Africans will challenge in the quarter-finals of the South African Amateur Championship at King David Mowbray Golf Club on Thursday. We wish Jordan Duminy all the best for his quarter finals match on Thursday at the SA Amateur at King David Mowbray Golf Club!! We are proud of your great achievement. Well done to Ivan Verster of Academy 57 , on winning the Stilbaai Open today. Ivan won the 27 hole Open in a play off on -2. 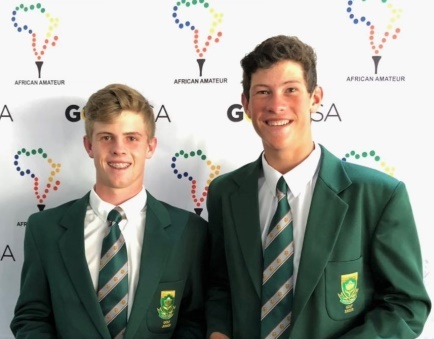 Congratulations to Academy 57 members, Christo and Martin on their selection to represent South Africa at the upcoming All Africa Junior Golf Challenge in Botswana, during March 2019. The other two members of the GolfRSA Team is Casey Jarvis and Sam Simpson. We wish you all the best, play well and have fun ! 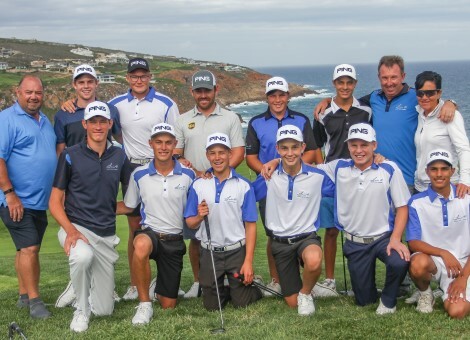 Louis with his Academy 57 Juniors and some of the proud family members, at Pinnacle Point. 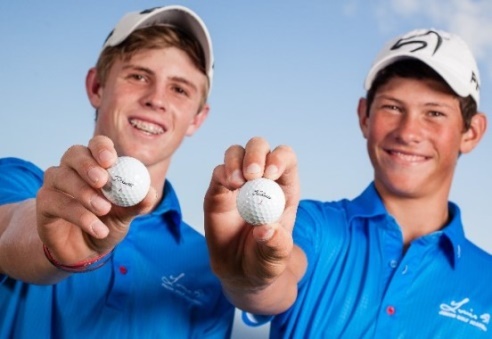 We wish all the junior golfers in SA, GolfRSA and other golf Academies, only the best for a fantastic and successful 2019 ! We are all so privilege to play this wonderful game. 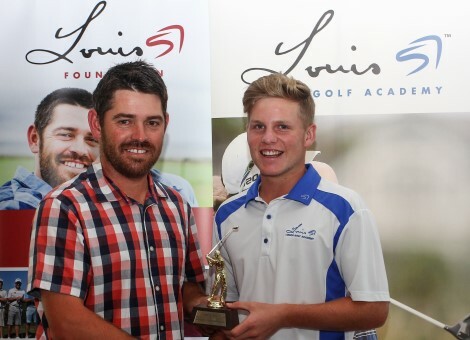 Congratulations to Christo Lamprecht on winning the Academy 57, Golfer Of The Year Award for 2018. Christo has completed a hat trick of Golfer Of The Year awards for 2016, 2017, 2018. Well done, its fully deserved ! Congratulations to Ben Van Wyk on winning the Academy 57’ Order Of Merit for 2018. We wish you all the best for your future golfing career. It was a privilege to have you in Academy 57, for the past two years ! Martin Vorster was awarded a special canvas signed by Louis to commemorate his winning of the Junior Open Championship last year at St Andrews. Academy 57 is blessed to have Louis as The Open Champion 2010, as Founding Member as well as Martin as the Junior Open Champion ! 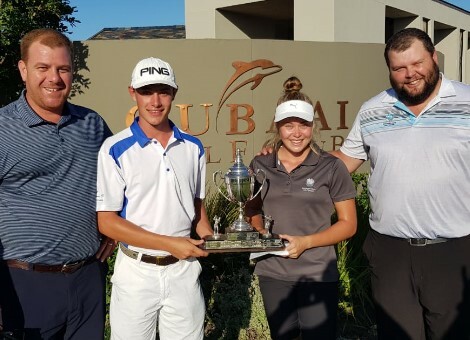 2019 began on a high note for Martin Vorster and Academy 57. Well done on winning the Pinnacle Point Club Championship, played over 36 holes !!! 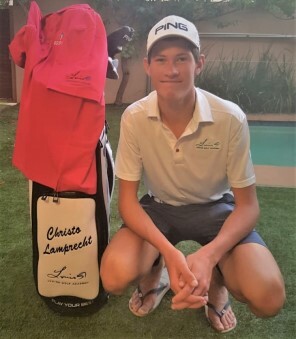 We wish Christo Lamprecht all the best for his participation in the upcoming SA Open. We know you will make South Africa and Academy 57 proud ! Play well and have fun. 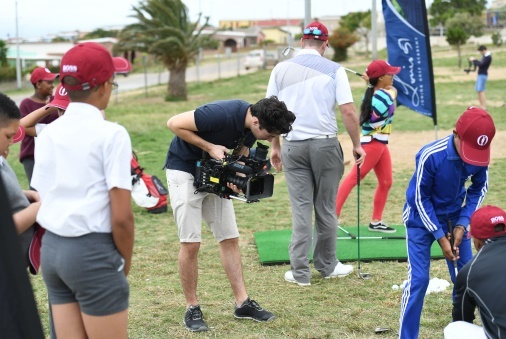 Academy 57 was privileged to be part of a documentary, filmed by the R&A, at Pinnacle Point, on the influence R&A funding has world wide on the development of golf. 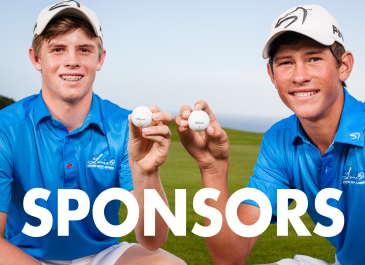 The R&A is one of our loyal sponsors since 2010. 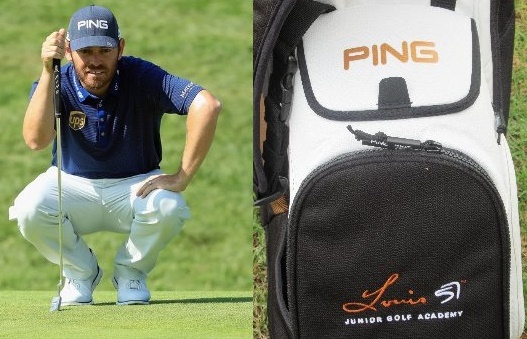 Academy 57 is also proud to have Louis Oosthuizen, 2010 Open Champion as a founder member, as well as one of its members, Martin Vorster as the current Junior Open Champion. Well done to Jordan Duminy for his runner-up position at the Simola Open, played on Sunday 28 October 2018. Jordan shot a magnificent 8 under par in the 27 hole tournament, shortened to 27 holes because of thick fog. Jordan’s putter was red hot on the last 9 holes which he played in 5 under. Proud of you ! Congratulations to Christo Lamprecht on winning the Kingswood Open on Sunday 21 October with scores of 68 and 76. 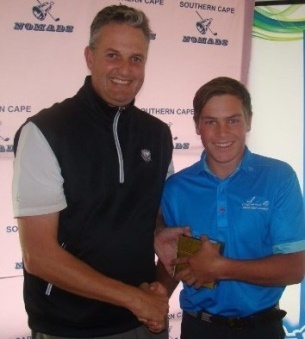 Christo also recently won the Knysna Junior Open with a remarkable score of 63. Well done to all the Academy 57 Juniors on their continuous good performances. You make us proud! 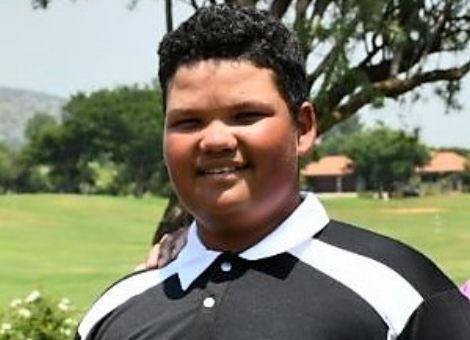 Jordan, one of Academy 57’s young stars, won the 36 hole Riversdale Open on Saturday 29 September on a score of 6 under par. Well done Jordan. 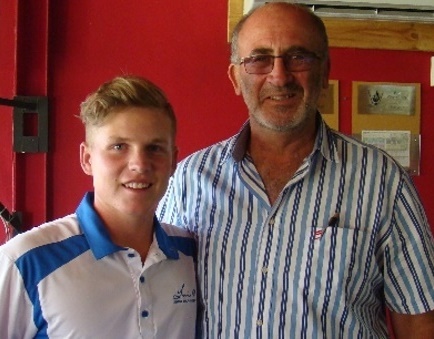 Well done to Christo Lamprecht of Academy 57, for finishing T11 at The Junior Players, with scores of 71/78/67. The Tournament was played from 30 Aug – 2 September 2018, at the well known course TPC Sawgrass (Ponta Vedra Beach, Florida). We are proud of your worldwide achievements. 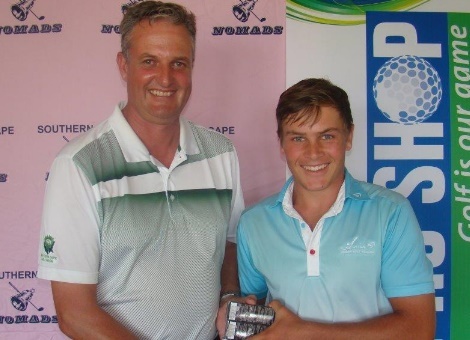 Christo Lamprecht won the George Junior Open on 5 August in a playoff against another Academy 57 member, JP vd Watt. Both finished on scores of 70 in regular play. Ivan Verster and Martin Vorster were tied 3rd. Well done to all the Academy 57 juniors, as well as to all the other juniors in the Southern Cape for your passion and great performances. 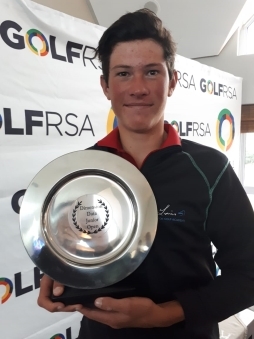 Christo won the Southern Cape Junior Open on 29 July 2018, played at Kingswood, with brilliant rounds of 67, 67 for a total of 134. Martin Vorster was runner-up with scores of 72, 66 (138) Well played to all the Juniors. 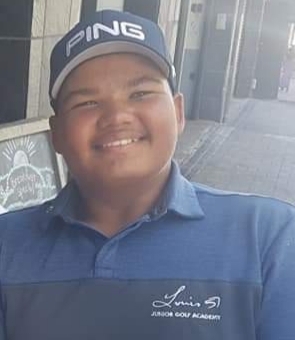 Ben Van Wyk (Academy 57) shared the Pezula Junior Open Championship on 22 July 2018, with Calvin Maia (Kingswood) with a score of 72. Ben also won the Oubaai Open a week ago. Well done on your continuous great golf performances. 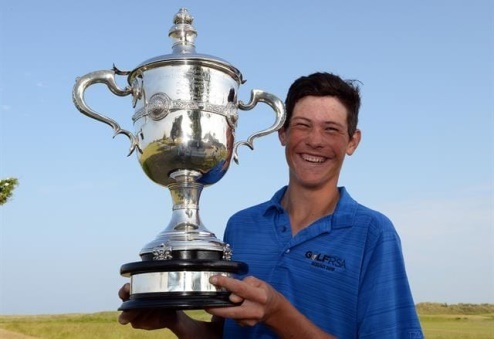 ST ANDREWS, Scotland (19 July 2018) – Southern Cape teenager Martin Vorster banished his demons when he completed a wire-to-wire victory to become the first South African champion of The Junior Open Championship at St Andrews on Wednesday. 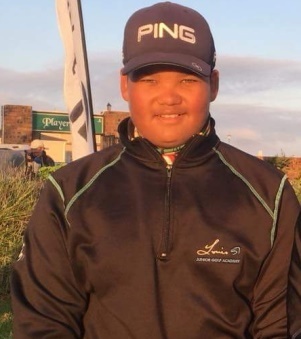 South Africa’s Martin Vorster carded a four-under-par 66 to claim a one shot lead after the first round of the Junior Open staged over the Eden Course at St Andrews. 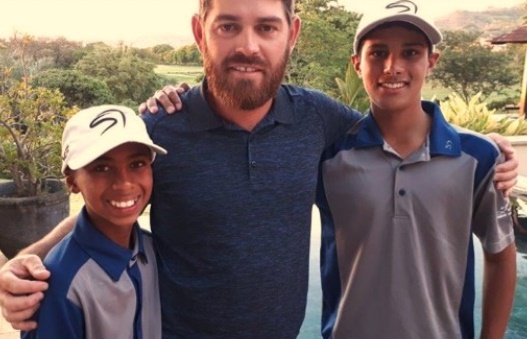 The giant 16-year-old member of the Louis Oosthuizen Golf Academy goes into the second round with a slender advantage over Argentina’s Abel Gallegos while 13-year-old Englishman Joshua Berry from Doncaster birdied the last three holes to post a two-under-par 68 and share third place with Japan’s Tsubasa Kajitani and Adam Pedersen from Denmark. 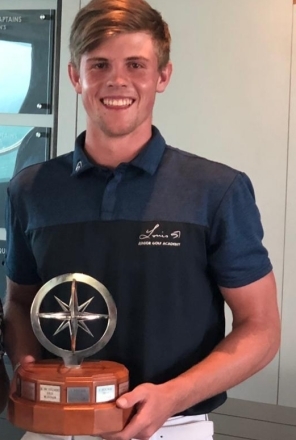 Ben van Wyk (Academy 57) won the Oubaai Open on 15 July 2018, with scores of 69 and 73, to win the Tournament by 2 shots. 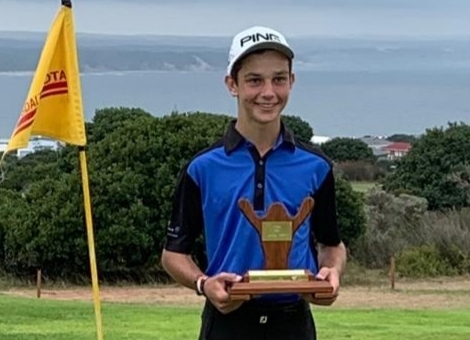 It is the 4 th Open, in the Southern Cape, that Ben has won so far during 2018. Well done Ben ! Well done to Martin Vorster for yet another great performance in a national event. 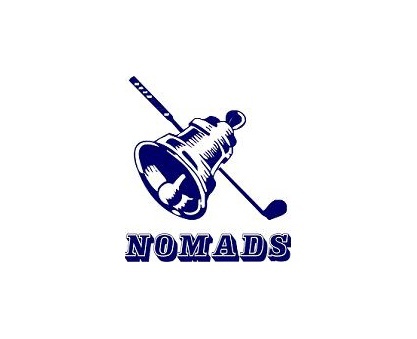 Martin was runner up after a playoff, in the NOMADS National OoM, played at the Bryanston golf club. 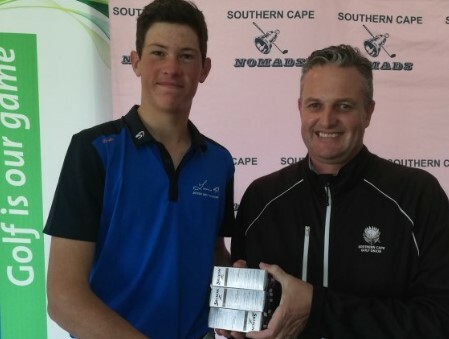 Christo Lamprecht won the 54 hole Dimension Data Junior Open at Fancourt and Kingswood on a totla of -13. Martin Vorster was runner up on -12. Jordan Duminy was T4 and Ben van Wyk 7th. Another great tournament result for Academy 57. Martin sets new course record in Japan ! 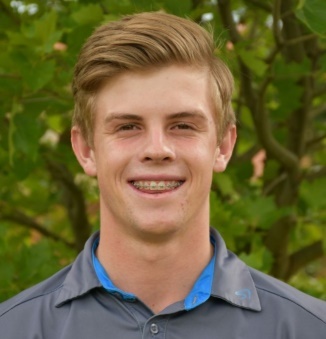 Martin Vorster (Academy 57) played a suburb round of 61 on 15 June 2018, to set a new course record at the Ishino Course (Chukyo GC, Japan). 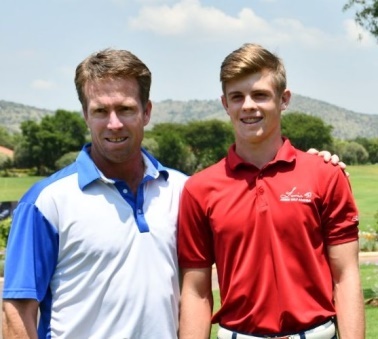 Martin was part of the GolfRSA Team that participated in the Toyota Junior Golf World Cup. The SA Team finished the Tournament in overall 5th position. Well Done to Martin and the rest of the SA team and Management. Next to Martin in the photo is his proud dad, Waldo. 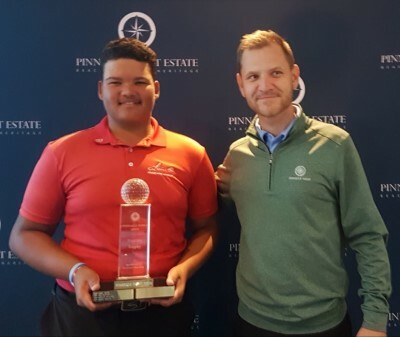 Congratulations to JP vd Watt (Academy 57) on winning the Pinnacle Point Junior Open on 9 June 2018. JP signed for a 73 on the spectacular Pinnacle Point golf course. JP’s victory is a special one as Academy 57 is proudly based at Pinnacle Point. Christo Lamprecht and Martin Vorster, Academy 57 members, are currently representing the SA Squads on two different continents. 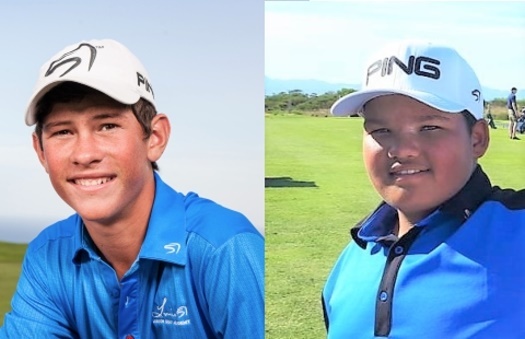 Christo is playing in the St Andrews Links Trophy at the New Course in Scotland and Martin plays in the 2018 Toyota Junior Golf World Cup in Japan. All the best to the rest of the SA Team members. Thank you for flying the SA and Academy 57’s flags so high and proudly! 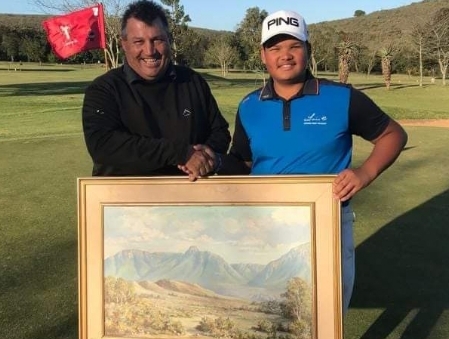 Ben van Wyk (Academy 57) won the Oudtshoorn Open on Sunday 3 June 2018, with two brilliant scores of 71 and 67 (138). Ben also recently won the Heidelberg and Pezula Opens. Well Done ! 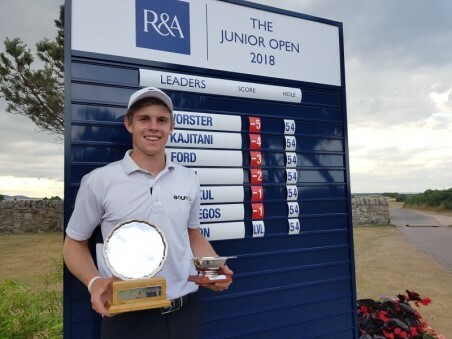 Christo Lamprecht (Academy 57) made history when he became the first international winner and youngest ever champion on 4 June 2018, at the East Of Ireland Amateur Open. Christo signed for scores of 66-68-69-71 to win the tournament with 2 shots on –14, played at County Louth (Baltry Links). 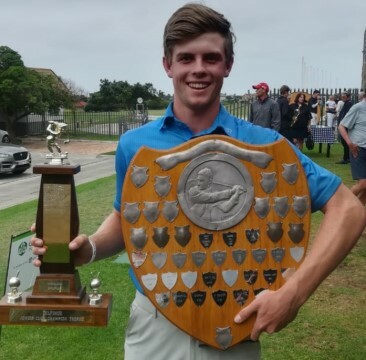 Christo is no stranger to winning, he also became the youngest SA Amateur Champion in 2017. You are a true champion and make South Africa and especially Louis’ Academy 57 very proud. 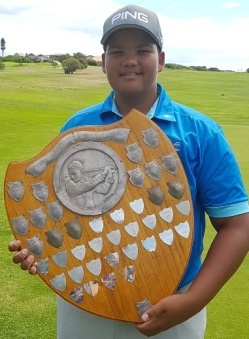 Well done to Jordan Duminy on winning the Plettenberg Bay Junior Open, played on Sunday 20 May 2018. Jordan’s winning score was a –4 (68). You make Academy 57 very proud with your continuous great performances. 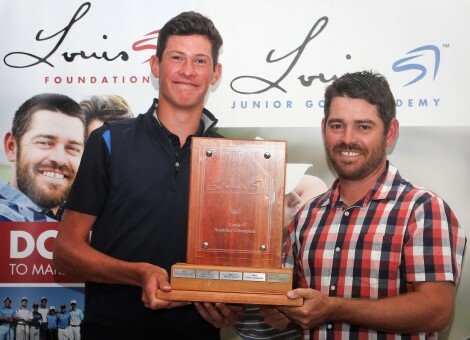 Ben van Wyk recently won the Pezula Open (Knysna) with a brilliant score of – 4 (66 / 74), 5 shots clear of the runner-up. Christo Lamprecht, also from Academy 57 won the Goose Valley Open on Saturday 5 May 2018, with scores of 68 and 70. He almost made it a double on Sunday 6 May when he was tied for the lead with scores of 69 and 68 at the Plettenberg Bay Open. He lost the play off against a chipped in eagle on the second play off hole. Well Done guys ! 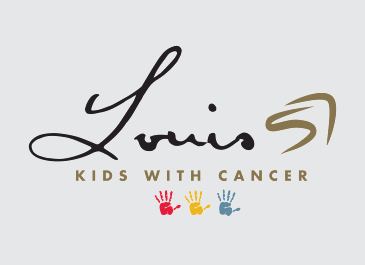 Also a big thank you to Louis, the parents, coaches and other golfers which contribute to this wonderful game. Well done to Ben van Wyk, on winning the Pezula Open on 22 April 2018, with scores of 66 and 74, for a total of 140. He won the Title 5 shots clear of the runner-up ! 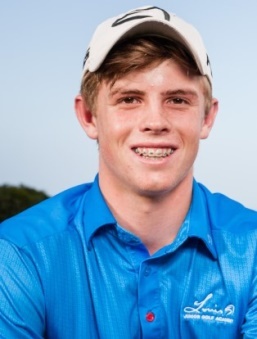 Well done to Jordan for reaching the quarter finals at the WP Amateur Matchplay. Jordan put on a great fight loosing 2 and 1. You make us proud! 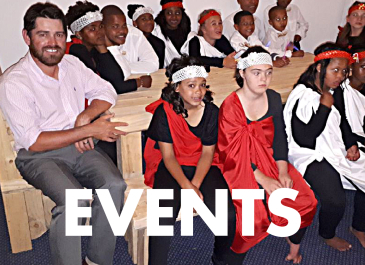 Well done to Academy 57 members, Christo and Jordan, for yet another great performance at a national event. 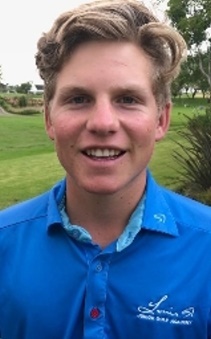 Christo finished 3rd at the WP Amateur Strokeplay, played at Milnerton Golf Club from 23-25 April 2018, on a score of –13. 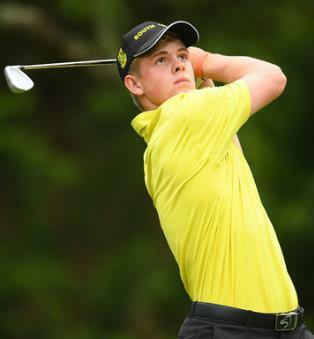 Jordan also had a good tournament and finished T15 on –2. 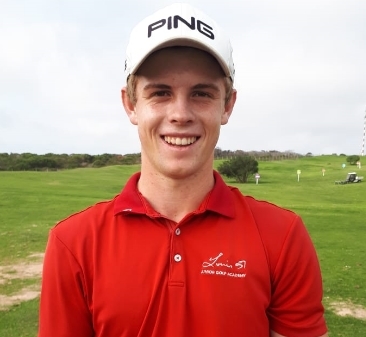 Christo Lamprecht of Academy 57, was tied runner-up at the South Final, of the Bridge Fund Managers Junior Series, played on 15 April 2018 at King David Mowbray Golf Club. Christo finished with scores of 68 / 68 only one shot behind the winner Deon Germishuys. Well done Christo, we are proud of your continuous great performances! Well done to Jordan Duminy, the new Pinnacle Point Champion for 2018. Jordan won the Open on Sunday 15 April with scores of 68 and 70 for a total of 138, 6 under par. Martin Vorster and Ben van Wyk, also Academy 57 members, were tied second on 3 under par. Well done to the Academy 57 Juniors, for great performances at the Nomads SA Boys u/19. The Tournament took place from 2-4 April 2018 at the Woodhill Country Club, in Pretoria. 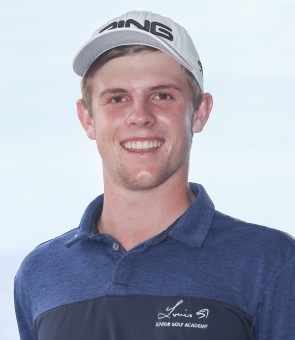 Christo Lamprecht was 4th on –10, Martin Vorster T6 on –8, Jordan Duminy T18 on –1 and Ben van Wyk 32th on +5. All the best for the Match Play Championship, go for gold ! Jordan Duminy won the Mossel Bay Club Championship on 11 March with scores of 64 and 68 for a total of 12 under par. Well done! Academy 57 is proud of your performance! 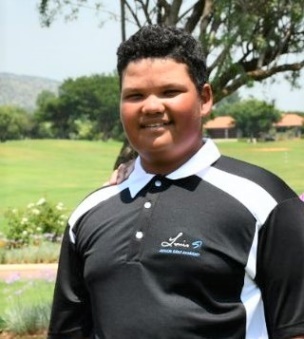 Academy 57 wish Martin and the rest of his SA Boys team members all the best for the All-Africa Junior Golf Challenge, being played at the Royal Dar Es Salam GC in Marocco. Play well and have fun ! 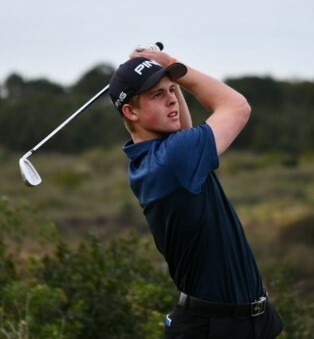 Well done to Martin Vorster for finishing T3 in the Sanlam SA Amateur Championship on a score of –2. The 36 hole Championship was played at Durban Country Club, from 25 – 26 February 2018. The Championship was also the qualifying event for the Sanlam SA Amateur Matchplay that starts on 27 February. We wish Martin and Christo al the best for the Matchplay ! Christo Lamprecht is the defending Champion. 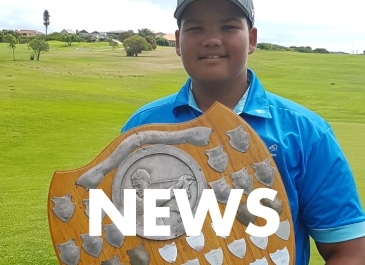 JP won the Stilbaai Junior OoM on 11 February 2018. 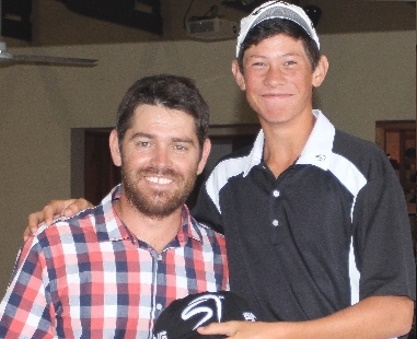 He showed nerves of steel by winning the play off against another Academy 57 player, Ben van Wyk. Well done to both juniors! 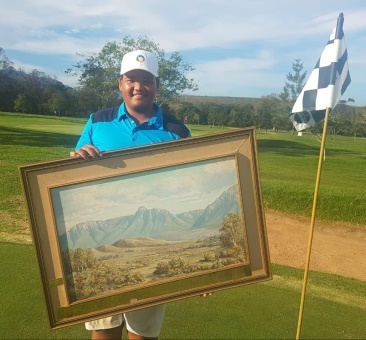 Well done to Ben van Wyk on winning the Heidelberg Open on 10 February 2018, with a score of –6. Academy 57 is proud of your achievement. 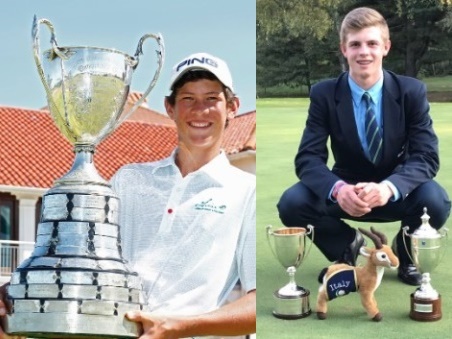 Well done to both Academy 57 Champions, Christo Lamprecht and Martin Vorster on your brilliant performances during the African Amateur Stroke Play Championship, which was played at the Glendower Golf Club from 13 – 16 February 2018. Christo finished the 72 hole Tournament as runner up, on a score of -11 and Martin was 3rd on a score of –10. 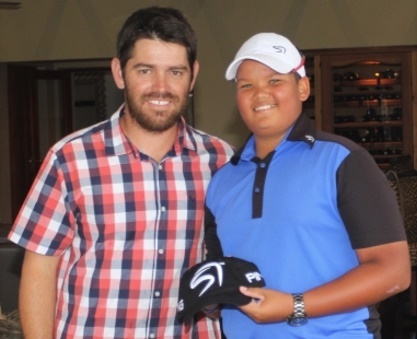 The Tournament was won by James du Preez on –14. South Africa are blessed with such Junior talent ! 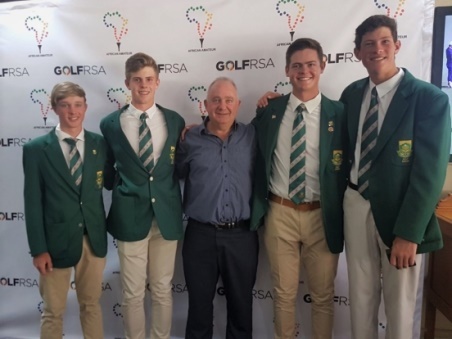 Congratulations to the Junior South Africa team, on winning the African Amateur Team Championship on a total of – 18, 4 shots ahead of second place, Team Ireland. The 54-hole Championship took place from 13-16 February 2018, at the Glendower Golf Club. You made us proud! 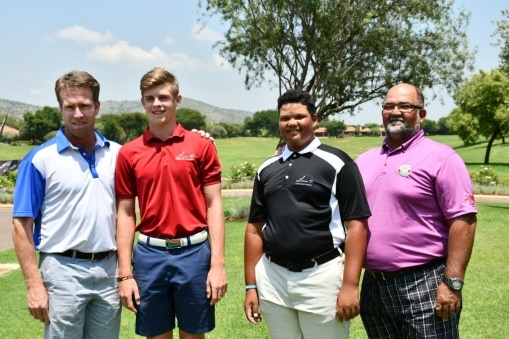 From L to R: Jayden Schaper, Martin Vorster (Academy 57), Rusil Moss (Glendower GC Captain), Wilco Nienaber and Christo Lamprecht Jnr (Academy 57). 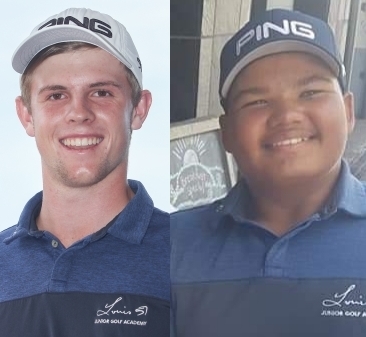 Academy 57’s Champion golfers, Christo Lamprecht and Martin Vorster are both in the top 10 on the SAGA Open-Amateur Ranking. Christo holds the 5th and Martin the 8th position. Christo is currently ranked 3rd and Martin 6th on the SAGA U/19 ranking. Well done to both, you are worthy ambassadors of Louis and his Academy. 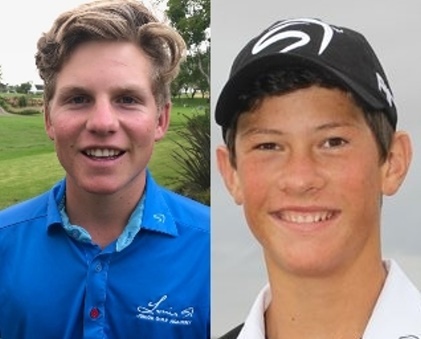 Academy 57 beliefs in identifying juniors, with golf potential, already at a young age and to assist them with professional coaching for their future careers. Martin Vorster and Jordan Duminy are proudly Louis fans and Academy 57 members since they were respectively 9 and 8 years old. 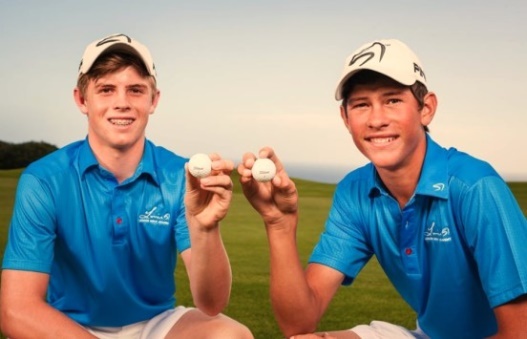 At age 16 and 15 today, they are already Champions and proud ambassadors of Louis and his Junior Golf Academy. 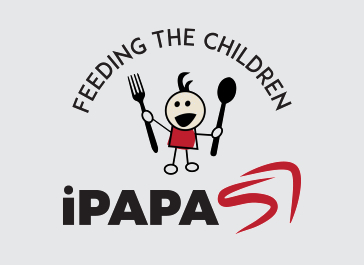 We also appreciate the role that parents play in the lives of their children and supporting them with their dreams. Thank you to PING for your loyal and continuous support! Thank you to R&A for your loyal and continuous support! Thank you to ATKV for your loyal and continuous support! 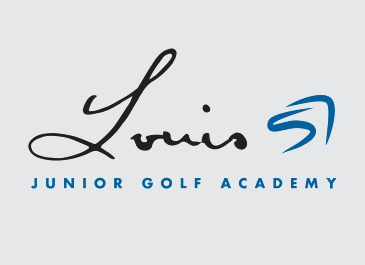 Many thanks to the ATKV for your loyal support of the Louis 57 Academy’s Junior Golf Development Programme, since 2013. 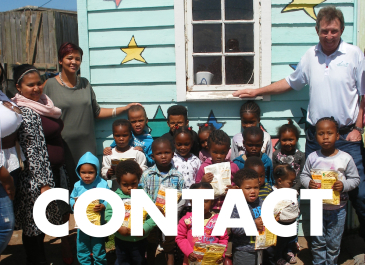 Together we change life’s! 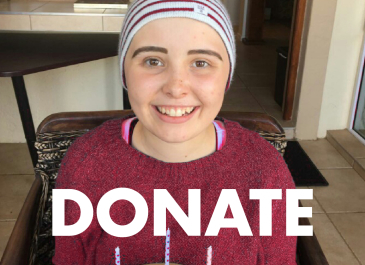 Baie Dankie! 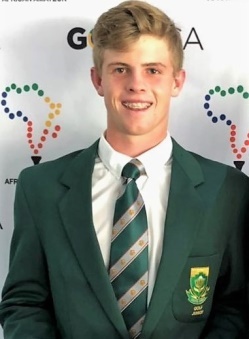 Martin Vorster from Academy 57, was named by SAGA as one of the talented juniors to make his National debut in the SA Junior Team, at the upcoming African Amateur Stroke Play Championship, at Glendower in February. 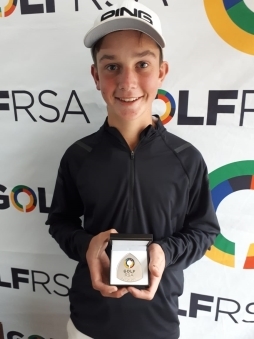 Martin was also selected by GolfRSA to be part of the SA Junior Team to defend SA’ title at the All Africa Junior Golf Championship from 6-9 March in Morocco. Thank you to Titleist and Footjoy for their continuous support! Thank you to Leonard Loxton and his team from Titleist South Africa / FootJoy South Africa for your continuous sponsorship of the Louis57 Junior Golf Academy! You have been loyal supporters since Academy 57’s founding in 2009 & we pride ourselves in the association with all your brands. 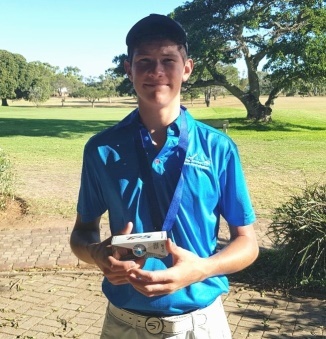 Christo won the Bridge Fund Manager Junior Series at PE Golf Club on 28 January 2018, on a score of -3. The Event was the 11th of the Junior Development Series. Well done Christo, yet another trophy for your cabinet !